These universal fit Calf Compression Sleeves use a seamless construction to create the ultimate graduated sleeve for lower leg protection. 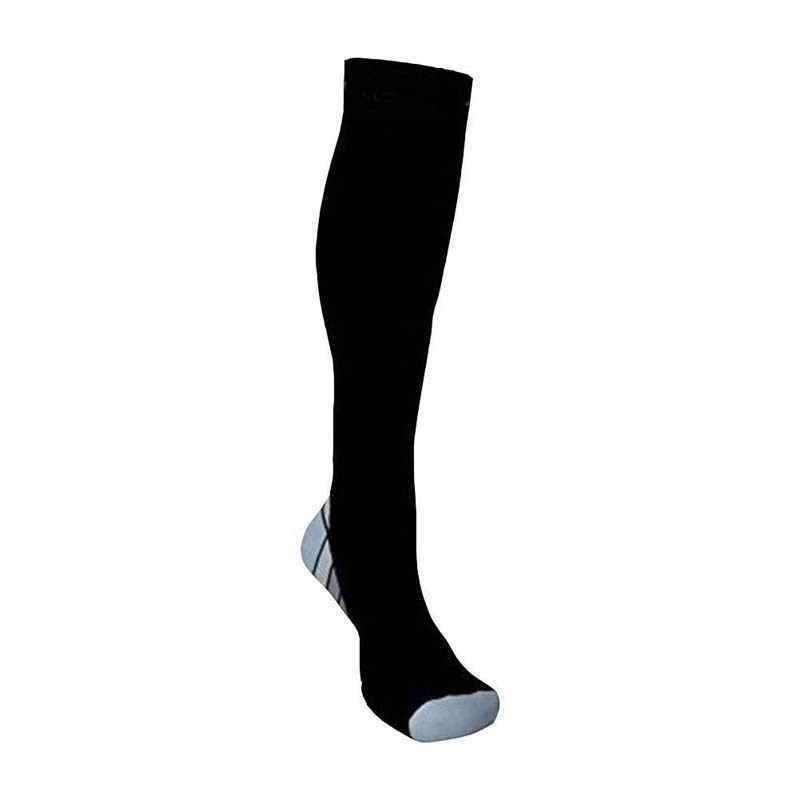 Designed to encase the entire lower leg; calf to lower ankle, the sleeve applies the correct pressure to increase circulation while sedentary or support the calf, shin and Achilles when worn during activity. Recent studies show that with an optimal level of consistent compression, the walls of the arteries will dilate, increasing the blood flow through them. Arterial blood flow has been shown to increase up to 40% during activity and 30% during recovery. This means more oxygen and nutrients flowing through the body. The walls of the veins will constrict under compression, which helps to increase the velocity of blood flow through them. Increased velocity of blood flow through veins means that deoxygenated blood and lactic acid will get back to the heart quicker, which will help to increase the rate of recovery and decrease muscle soreness! 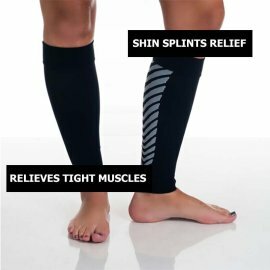 Compression will also help to stabilize the muscle and decrease the amount of muscular vibration, resulting in decreased fatigue. 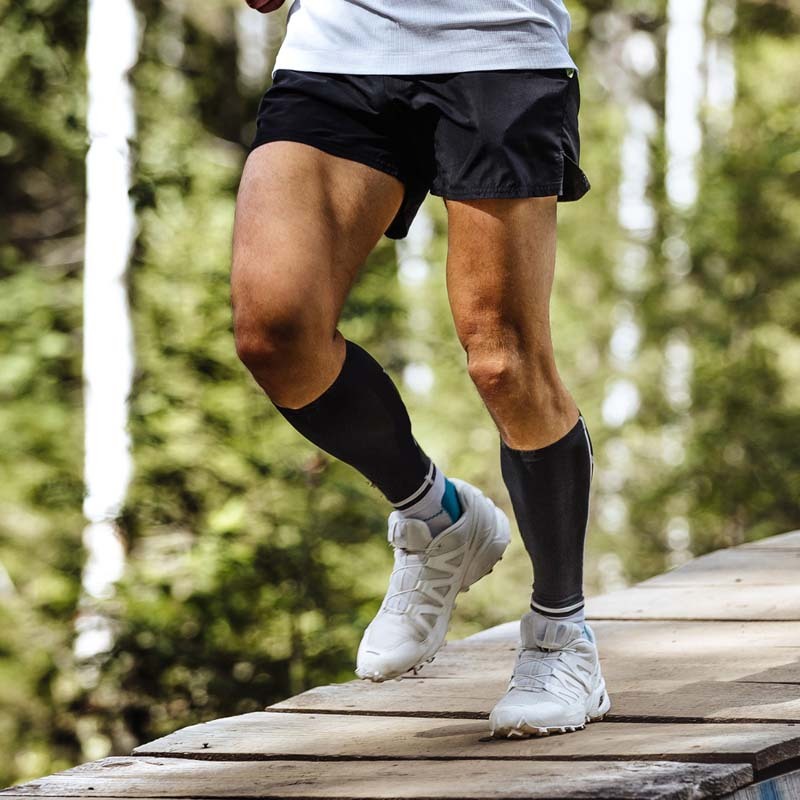 To sum up the benefits of compression; enhanced performance through increased blood flow, quicker recovery and decreased muscle soreness, and less fatigue. Ideal for running injury prevention for shin splints or tight calf muscles before / during training. Also great for muscle relief during the day if suffereing from shin splints or lower leg issues. - If you are a runner, cyclist, golfer, nurse or simply on your feet all day, our calf compression sleeve is for you. - It is a remarkable product that supports the calf, improves blood flow, reduces swelling, retains minimum moisture and dries quickly. - Protects legs from scratches and abrasions during trail running.